Sarawak FA has been around since 1974, but not much has changed when it comes to how it is managed. Despite their long history, some Sarawak fans may not know of what is happening to Sarawak and what has changed in 2019. That said, here’s three things I know has been going on in regard to Sarawak FA. Typically, the owner of Stadium Negeri the Stadium Council of Sarawak charges for rent to any team using its facilities. The stadium is known as the home to Sarawak FA and for 2019 Sarawak FA, Sarawak FA has been using the Stadium Negeri for free. This was announced by Sarawak Sports Minister Abdul Karim Hamzah when launching the new 2019 Sarawak jersey. According to Karim, the team represents Sarawak, and hence should not be asked to pay rental for use of the stadium. While teams in Europe handle their own merchandising, Sarawak has allowed Lea Sports Centre to monopolize and handle things related to their merchandising. This includes production of their kits, official items and the sales of these items. Lea Sports Centre also seems to act as the official company behind promotion of the team. This year however, Sarawak had finally decided to do some sales from their own official site. Sarawak is a very young team that even one of their import players is under the age of 21. Therefore, Sarawak has been leaking late goals of late because young players aren’t well prepared mentally when it comes to concentration. 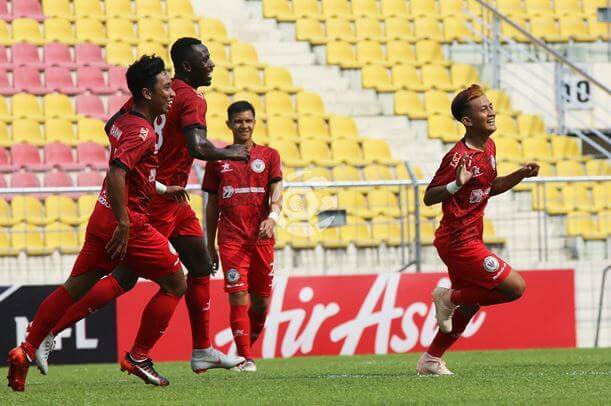 On a more positive note however, these young players, if given more exposure at top level football, can improve themselves and would likely help Sarawak play better football in the future.